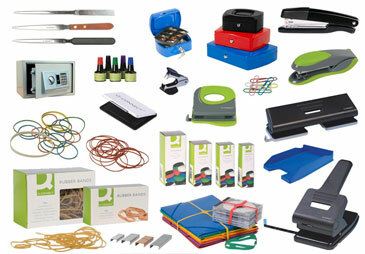 Regardless of size of your business, BNOP aim to be a one stop shop for all your Office Supplies requirements. We stock all major proprietary brands – Avery, Bic, Canon, Dymo, Post-it, Sellotape, Tippex to name just a few. We also sell our own cheaper Q-Connect brand. 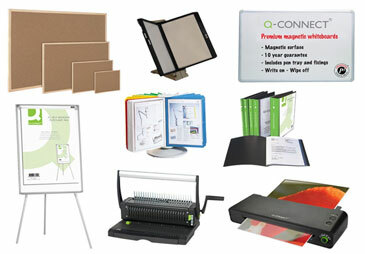 The Q-Connect brand offers great value for money on some of the most popular products for the office. Q-Connect is the Irelands leading value-for-money, quality office product range. For over 10 years, BNOP has been offering Q-Connect to the Irish office product industry. There are over 1,400 office products in the range. Each Q-Connect product has attractively designed packaging for clearer product display and product information. All Q-Connect product feature a 12 month, no quibble guarantee.